All Star Boxing, INC President & CEO Felix “Tuto” Zabala Jr has announced the re-singing of Former WBO/WBA featherweight world title contender Miguel “The Scorpion” Marriaga to a new multi-year agreement on early Tuesday Morning. The new agreement also included Colombian prospect & stablemate Belmar Preciado, who are both trained by famed south american trainer Samuel Gomez. 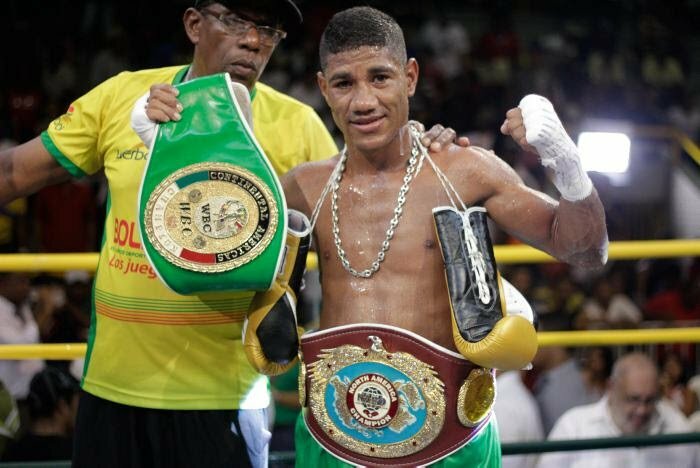 WBC #14 WBO #15 Miguel Marriaga (26-3-0 22 KO’s) of Arjona, Colombia had a tough stretch in 2017, being the WBO #1 Contender at the time, he faced WBO featherweight world champion Oscar Valdez. Many felt Marriaga was ahead in the fight till a left hook in the 10th round dropped Marriaga and Valdez earned a hard fought 12 round unanimous decision victory. Later in the year, he stepped up again, this time in the super featherweight division, to face current superstar Vasyl Lomachenko and lost in the 8th round in what was another valiant effort put on by the Colombian fighter. Marriaga will campaign again in the featherweight division and is ready to fight any of the top rated contenders to earn another crack at the title. #9 WBA Belmar Preciado (18-1-1 11 KO’s) of Ibague, Colombia is a super bantamweight prospect, who is riding a current 4 fight win streak. During the streak, Preciado has picked up some quality wins over Martin Casillas and most notably Franklin Manzanilla, who recently stopped former WBC super bantamweight world champion Julio Ceja in Mexico City. Preciado is ready to make a name for himself in the U.S. and take on bigger and better challenges. Next boxing news: Davies vs Catterall at Leicester Arena on October 6 – Tickets On Sale!